Tipies Wijncafé set up and ready to go! 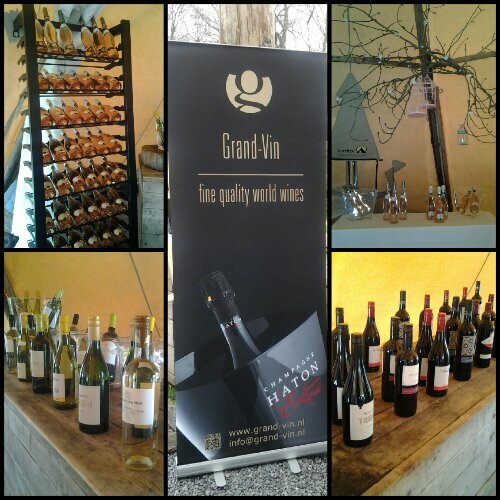 Last weekend Koen and I helped out with his father’s wine tasting event – the Tipies Wijncafé (Teepee Wine Café). It was a join venture with my father-in-law’s Grand Vin and one of the Brörmann’s favorite restaurants Het Hooihuis. This is the second time Grand Vin has hosted a wine tasting at Het Hooihuis and we had beautiful sunny weather and a great turnout! Special for the warm weather, Grand Vin debuted its new Rosé and Rosé Spumante. I especially enjoyed the spumante all afternoon! To pair with the wine, Het Hooihuis created a special menu including oysters, burgers, and white asparagus soup. Yum! 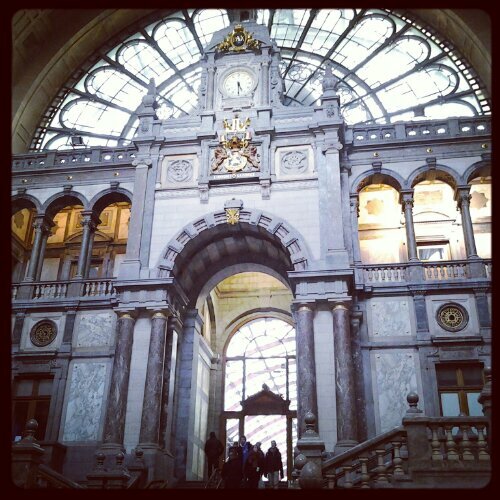 Antwerp Central Train Station – On my way to Tilburg! A couple of weeks ago Koen had a few friends over for a boys’ night, so I asked my sister-in-law Barbara if I could come visit her in Tilburg. We had a fun girls’ night with ice cream and cocktails!